Living with a British man makes me more curious about their food. I now know how to cook lamb, how to make the perfect gravy and Yorkshire puddings. I also learned that “Tea” means dinner and “Pudding” means dessert of any kind. I really love their hearty food as also remind me of my home. “Bulgarian moussaka is just a twisted version of Shepard`s pie”- said Tom when tried it. 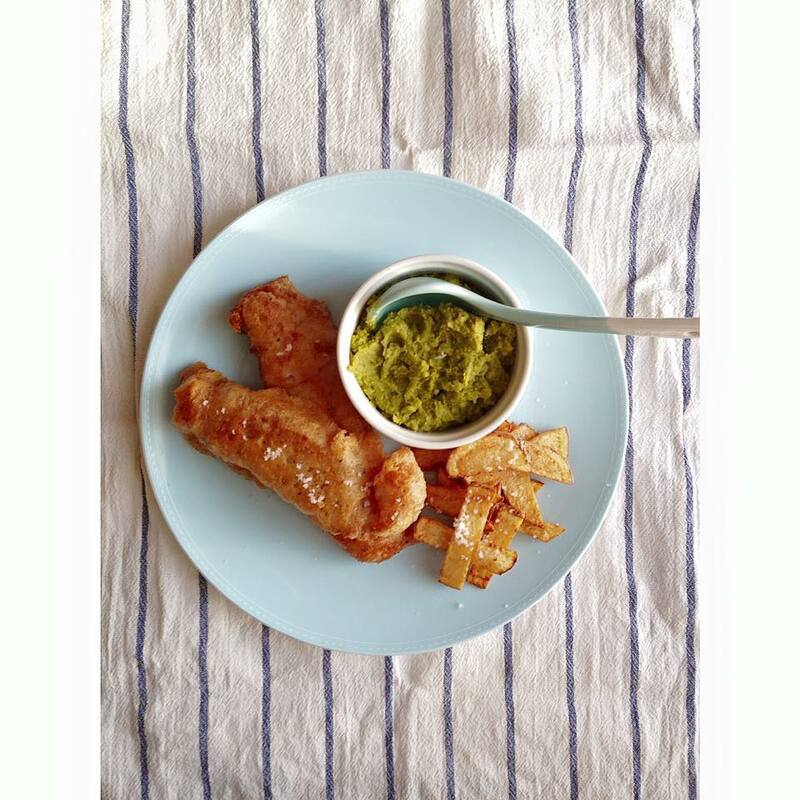 The recipe today is for classic fish and chips with mushy peas. There is nothing complicated in it. Forget about soggy batter or tasteless mushy peas. Tom actually ate all his peas and he usually avoid it. Note the tips I mentioned below and you will have crispy fish, warm mushy peas and hot chips. 1. Prepare your batter by mixing all the ingredients and whisk well. 4. Meanwhile preheat your butter and add the peas and salt. Cook for 5 minutes. Blend the peas and add the lemon juice. 5. Cut your potatoes into thin slices and deep fry in very hot oil until golden. Season with sea salt flakes. 6. 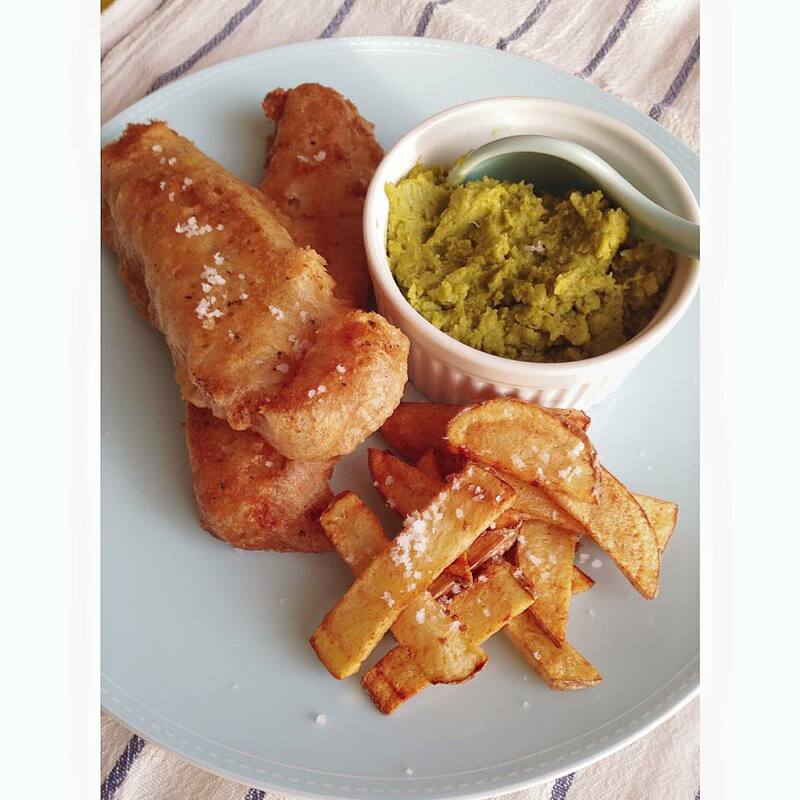 Serve two fish fillets, mushy peas and chips and sprinkle some sea salt.